This luxurious shaving soap is a great and natural alternative to the chemical-filled shaving creams that you find in the big stores. You will not see big, fluffy bubbles as this soap contains no detergents and SLS. The added clay in this shaving soap yields a creamy, thick lather that will have exceptional grip for your shaving device. Plus, with natural components such as vitamin E and olive oil, this make for an excellent soap even for the most sensitive of skins. 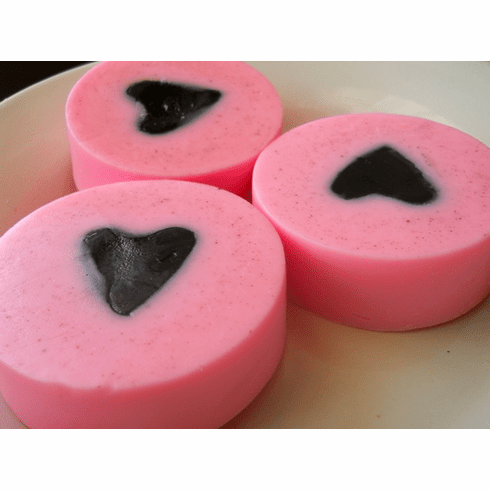 It is scented with our impression of Pink Sugar perfume. Vegan friendly! Weighs approximately 3.75 ounces and comes inside a kraft box that is beautifully packaged. Long lasting! Ingredients: 100% vegetable glycerin soap (coconut and palm oil-based), bentonite clay, olive oil, vitamin E, fragrance.